Nice couple of images on this theme. I like the light and shade in this one, the movement of the jogger and the shadow. Nicely composed with the starkness of the shadows and the texture of the walkway! FAV! Looks very good on black. 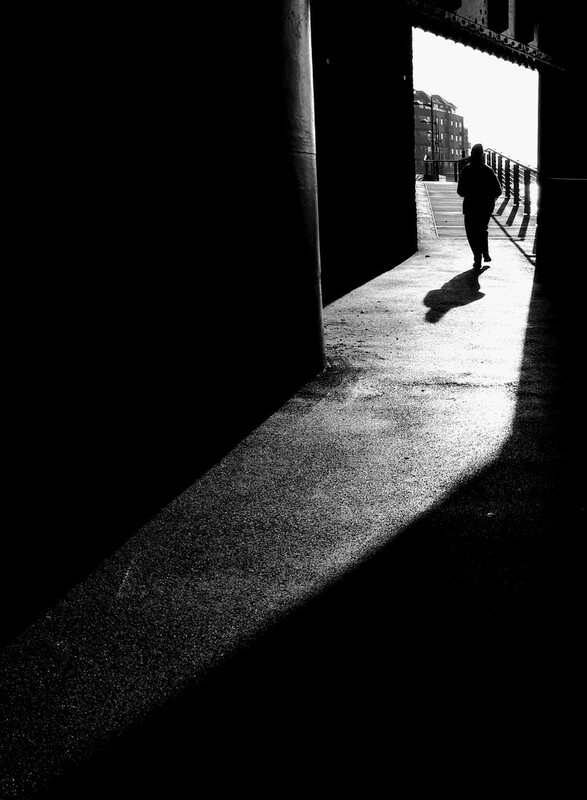 the light on the walkway and the shadow of the jogger, perfect composition. Love this! Great black and white. Fantastic use of light and shadow, awesome! Great shot, love the shadows. Super black and white. Love the light. I love the contrast and geometry. Some absolutely super images this month, but this is the one I keep going back to. Love the composition of this. @casablanca Thank you so much!